This is the perfect way to teach children the Christmas story. 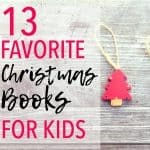 They can learn about the true reason for the season in a fun and engaging way! Teaching kids about the true meaning of Christmas can be a little tough. Christmas is my absolute favorite time of the year. 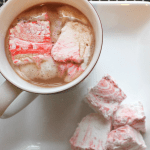 I love everything about it…twinkling lights, Christmas music, the scent of pine, peppermint, and cinnamon, gift-giving, fun activities with friends and family. My kids love all of it, too. There’s a wonderful sense of excitement and anticipation in the air during Christmas. All of these things are good things. But as a Christian, I want my children to understand the WHY behind the celebratory season of Christmas. 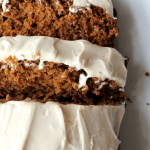 Why do we do all of these things? 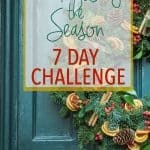 What does Christmas mean to us? I didn’t really do Advent activities as a child. 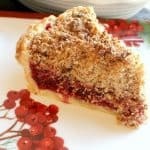 But now that I have kids of my own, I thought celebrating Advent would be a great way to help focus the Christmas season on the real reason we celebrate. I currently have a 4-year old, a 2-year old, and a 10-month old. So while I want them to know and understand the Christmas story, we have some limitations to work with since they are still little. 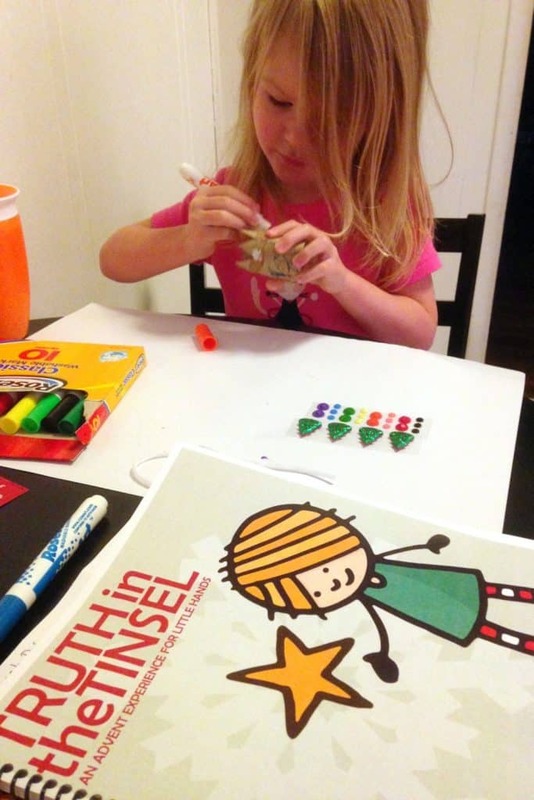 Last year I came across Truth in the Tinsel: An Advent Experience for Little Hands, a comprehensive and easy-to-use ebook by Amanda White that provides a daily craft activity that involves making an ornament to correspond to scripture during each day of Advent. My oldest child loves crafts, so I thought this would be perfect for the two of us to do together in the mornings while her younger brother was still asleep. Age-appropriate adaptability: Truth in the Tinsel is designed for preschool and elementary aged children. But it is very adaptable. I adapted some of the craft activities and put the scripture into my own words to suit my then 3-year old daughter’s abilities and interests. Daily picture or word clues: After the child gets their clue for the day, they listen carefully for the clue while reading the scripture. This helps them to stay engaged during the scripture reading and helps them recognize what that day’s focus is. Read it, Make it, Talk About it Together: Each day contains a scripture for you to read with your child. I paraphrased when necessary to improve her comprehension. 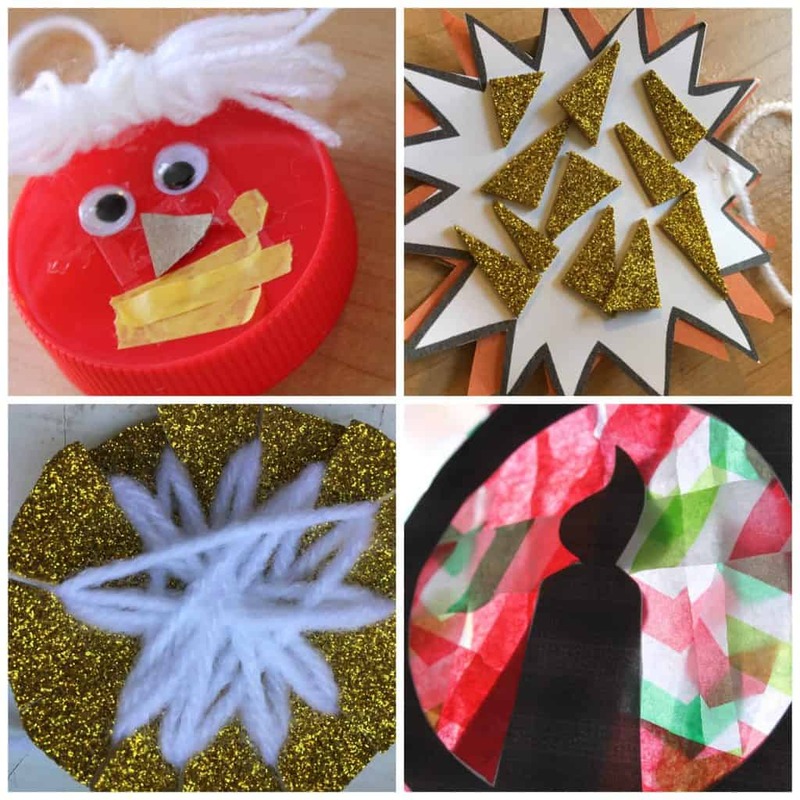 Your child then makes fun ornaments that represent a part of the Christmas story. Truth in the Tinsel contains prompts for discussion with your child. While your child is making their ornament, you can casually discuss what you read about in scripture and what that means for us today, deepening their understanding. 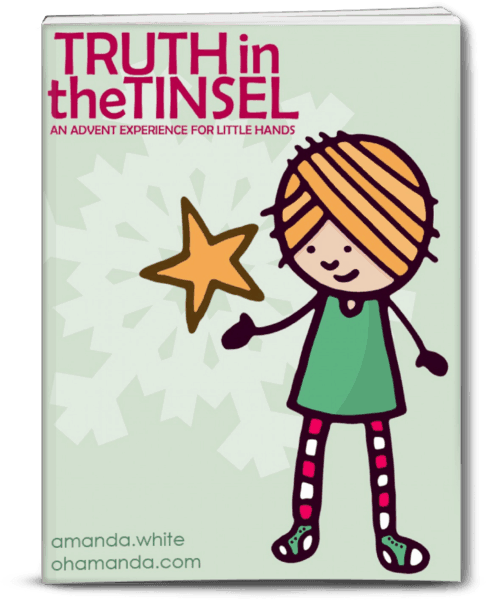 Amanda also includes some additional activities, songs, books, and so on that pair well with the activities in Truth in the Tinsel to further integrate the Christmas story into your day. Supply list: There is a full supply list included in the book, so you know exactly what you need. However, you can absolutely adapt crafts based on materials you already have on hand. Not time intensive: Because Amanda has written the detailed plan, each day’s activities only take about 15-30 minutes. Optional Printable Ornaments: Maybe you aren’t very crafty. Or maybe you are short on time. Amanda has you covered! There is a set of printable ornaments that you can purchase for just $3.99 that accompany each day’s scripture reading and discussion. So rather than making an ornament, your child can color or otherwise decorate these printable ornaments. I purchased these so that we would have a “quick and easy” option for mornings when I knew we would be short on time. They worked beautifully! The price: I could not believe that Amanda only charges $7.99 for the ebook download. That’s an absolute steal, especially since you can do these activities year after year and with multiple children. Since the activities are adaptable, I plan on scaling them for each of my children over the next few years. I actually had the ebook printed and coil-bound so that I will have a hard-copy to use every year. My absolute favorite thing about Truth in the Tinsel is that it works! I was actually really surprised by how much my 3-year old retained from our daily readings and activities. She caught on very quickly and remembered the various aspects of the Christmas story. She could point to one of her ornaments on the tree and retell the story associated with that ornament. 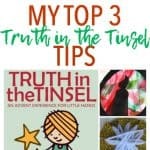 If you are looking for a way to teach your children about the Christmas story during the Advent season, I can’t recommend Truth in the Tinsel enough! 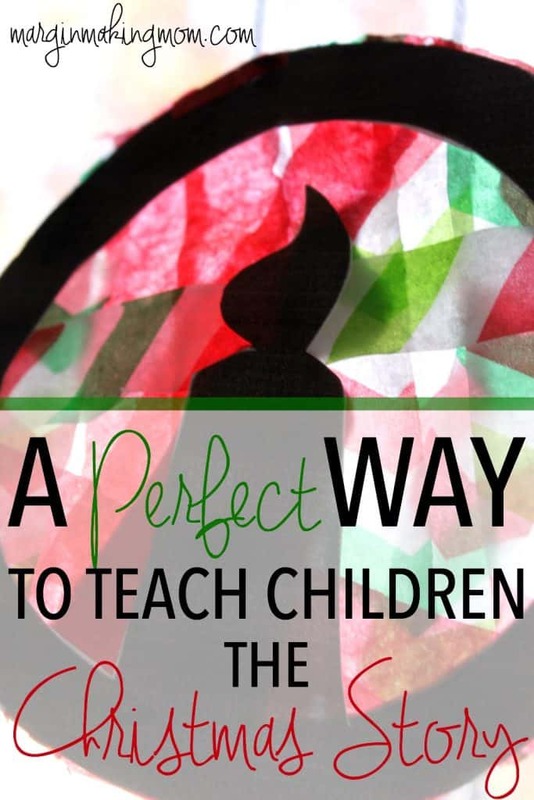 What are your favorite ways to teach children the Christmas story? What a cute little book! I wish I had little ones in the house still!